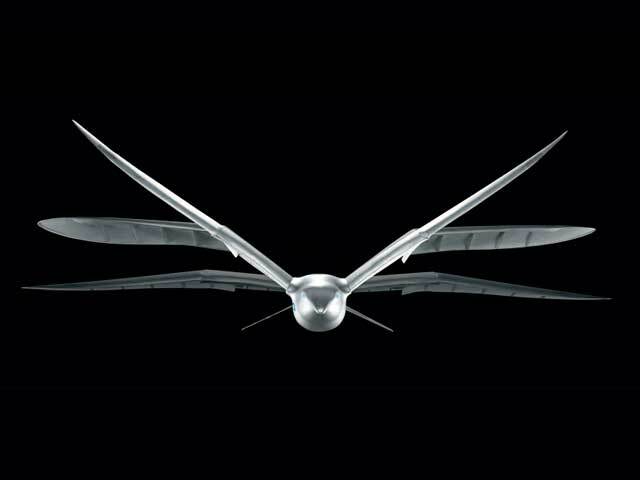 A bionic bird known as SmartBird has been developed by German company that can takes off, fly and land without human interference and with minimal consumption of energy. 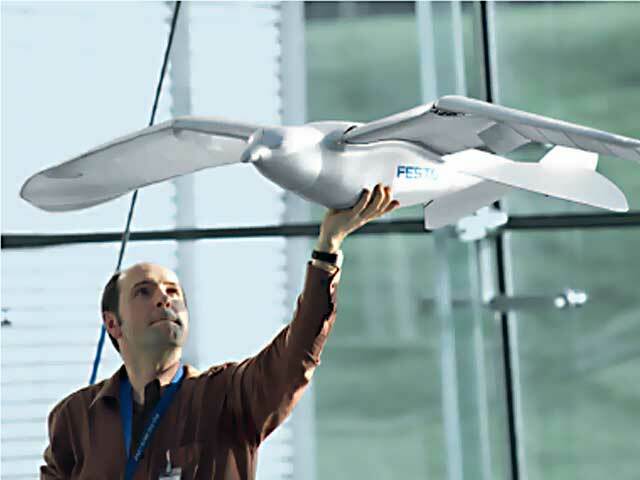 The size of the SmartBird is about 150 cm wingspan, the wings feet long, and a torso of more than one meter. Despite the dimensions, the SmartBird is very lightweight. It is powered by two small lithium batteries with half amp charge. Despite the high technology used in its mechanical structure, the key to the secret of seagull flying mechanic is within your torso. While motion sensors indicate the exact position of the wings and an accelerometer provides information about the displacement and tilt the bird, a small microprocessor system calculates the exact angle of twist of each wing and tail of the bird, which allows him to fly in different directions, take off and land without human interference. However, you can also control it via a microwave radio system known as ‘ZigBee’, which combines rapid response and low power consumption.